They Never Thought Their Luck Would Be Their Curse. In the months following the onslaught, the extraordinary survivors continue to know no peace, as they are haunted by signs that the relentless creature remains on their trail. However, this fight will be better matched, now that they’ve discovered an advantage that will help protect them from the monster’s bloodthirsty lust. But once faced with the decision to kill the beast, the choice will not come lightly since it is still unclear which loved one the chupacabra possesses. 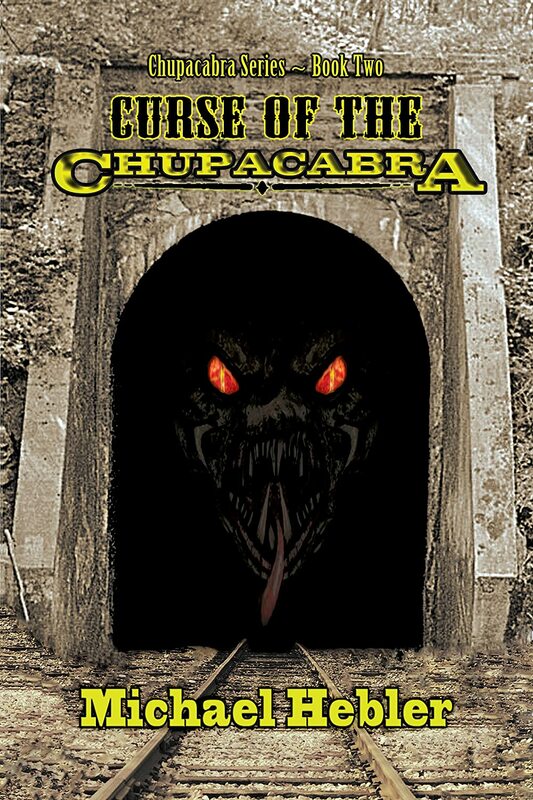 “Curse of the Chupacabra” stretches beyond the claustrophobic world of “Night of the Chupacabra”‘s single town setting as the creature’s victims inadvertently lure the beast across the western states; not only becoming a road story soaked with blood and treachery, but a powerful chronicle of passage that exposes the consequences of not following the path of one’s own heart. “Curse of the Chupacabra” is a relentless feast of tragedy that examines the dangers awaiting those who might be kin to the most infamous abomination to walk this earth. Prior to becoming an award-winning author of dark fiction, Michael worked a full-time international film publicist on multiple titles for Walt Disney, Pixar, Lionsgate, Lakeshore Entertainment, Warner Bros., Summit Entertainment, as well as the 2013 Academy Award-winning Best Foreign Language Film, “La grande bellezza” (The Great Beauty). Born in the early 1970’s in Los Angeles County to a salesman and a homemaker, Michael dreamed of following his passions for entertainment and storytelling by becoming an actor. It was while studying theatre arts at Orange Coast College in Costa Mesa, California, did he realize his penchant for stories were better suited on the page rather than the stage. However, creating tales with suspense, laughter, and heart is not Michael’s only love. Hebler also enjoys volunteering in his local community for Meals on Wheels, as well as aid in the capture/spay/neuter/release feral program. Just a note that the ebook sale price of $0.99 will conclude at end of day Sunday, Aug. 3. Additionally, “Curse of the Chupacabra” is included in the Kindle Unlimited program, as well as Book Lending, and Matchbook with the added price of $0.00 if the print copy is purchased through Amazon.